See what others cannot see - that's what Amy brings to every story that she tells. 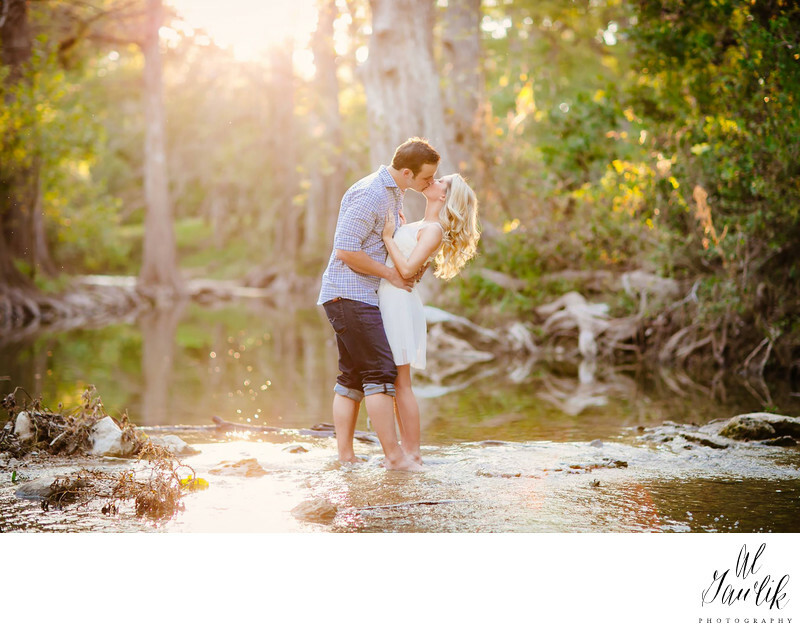 What a beautiful couple barefoot in the stream, wrapped by sunlight filtering through the branches deep in the woods. The soft glow of the background wraps a newly engaged couple.